EV adoption is picking up speed across the globe. In the US, electrified cars are gaining recognition for their sustainable features and cost-effective advantages in long-term ownership. Surprisingly, the country now hosts the world's second highest EV population. To date, there are 762,000 EVs on the road in the US. Per capita data of 0.2 percent indicates the US is adopting EVs at a steady pace. The US shares this rate of adoption with the following countries: France, Japan, Germany and the UK. By comparison, in Norway, 3.3 percent of the country's population owns an EV; and 6.5 percent of vehicles on the road are electrified. Major asset companies, including New York-based global investment firm BlackRock, expect the EV market to continue to rise in the coming years. Factors contributing growth include: more EV releases, increased access to EV charging hubs and compliance with new-energy regulations. "The private sector has an instrumental part to play in bringing down emissions and cleaning up our air – and there are big opportunities for companies taking action now," explained Helen Clarkson, CEO of the Climate Group. "With countries pledging to end sales of the combustion engine and cities bringing in low or zero emission zones, forward-thinking companies are getting ahead of the curve now by switching to electric vehicles." Interestingly, data from GoCompare shows the number of EV stations slowly catching up to petrol stations. At the moment, there are roughly 45,868 EV charging hubs and 111,600 petrol stations in the US. Automotive businesses and government organizations in the country are making EV ownership more enticing by offering unique perks, rebates and auto services. For instance, California is spearheading EV development, via signed Executive Order B-48-18. Made official in 2018 by Governor Jerry Brown, the order ensures the addition of five million EVs by 2030, as well as 250,000 EV charging stations by 2025 in the state. It is important to highlight that California makes up a staggering 50 percent of the EV industry in the US (according to a report from the International Council of Clean Transportation). "There's obviously a ton of different vehicles out there and with rebates and with lifetime cost of ownership, there are actually a lot of reasons why overall costs—reduced maintenance, not having to buy gas ever—can make electric vehicles significantly cheaper than the comparable internal-combustion engine vehicle," said Caroline Quazzo, Manager at Exelon-subsidiary EZ-EV. Adding to Quazzo's insights about the long-term benefits of EVs, because EVs are powered by solid-state components (no moving parts), the rate of degradation is significantly lower compared to cars that run on internal combustion engines (ICE). Lastly, although people still have to pay for ‘fuel' in the form of electricity when charging the EV battery; but the rates are expected to decrease significantly in the future. 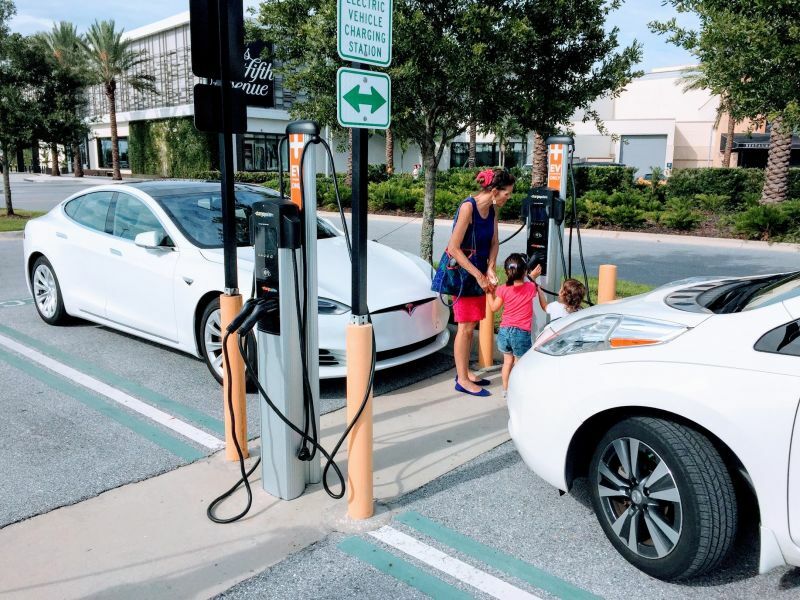 Sustaining this trend is surging competition for such services and development of new charging methods (mobile or solar-powered/off-grid EV charging stations and battery-swapping services).